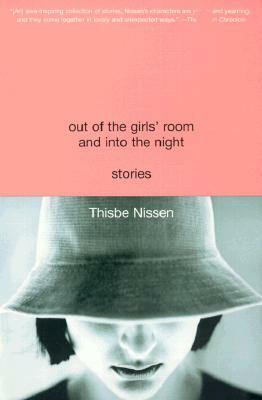 In Thisbe Nissen's award-winning debut story collection, characters teeter on the verge of love, of life, of oncoming cataclysms after which Things Will Never Be the Same. Against the varied backdrops of Grateful Dead shows, anniversary parties, sickrooms, and bright Manhattan vestibules, Nissen traces the joy, terror, and electric surprise that flash between people as they suddenly connect. A fifteen-year-old girl whose mother is slowly dying finds solace in the bed of her best friend's older brother. A wife remembers the early romance in her marriage as she watches her husband's hand, shaky with Parkinson's, lift a bite of food to his mouth. Longtime friends are jolted by their unforeseen attraction to each other; new lovers feel their way by instinct in vans, on futons, an during risky, late-night conversation. Knowing, often hilarious, and always pitch-perfect, Nissen's tales hang inside those moments when the heart is acting and the head is watching, hopeful that the heart is doing the right thing. Thisbe Nissen is a graduate of the Iowa Writers' Workshop and a former James Michener Fellow. Her stories have appeared in Story and Seventeen. A native New Yorker, she now lives in Iowa.